Did you know that good dental health for your dog can mean an extra 4 years of life? Regularly checking and helping your pet keep their mouth healthy, is all part of good pet ownership. Although more common in older dogs, dental decay problems can start as early as 2 years old, and is often diet related – checking the ingredients in your dog’s food is a great first step. Please contact us if you are unsure and our Vets will check your pet’s food: Contact our Vets here. Just like in us humans, after a dog eats plaque builds up around teeth. If this plaque isn’t removed it turns into tartar, the hard browny-white substance you can sometimes see. This tartar irritates the gum-line and causing gingivitis and bad breath. Left alone this can then exacerbate into gum ulceration, loose and then missing or broken teeth. 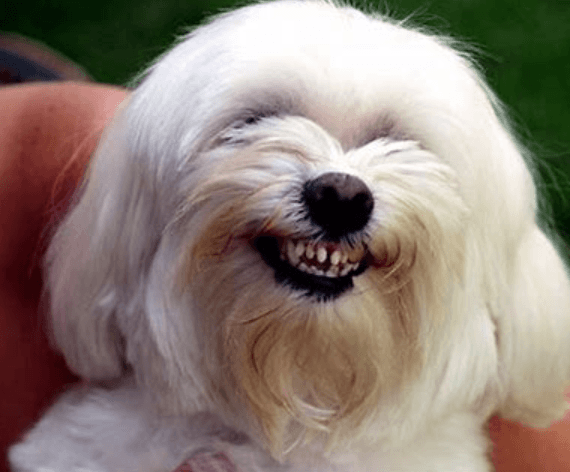 Whenever you have ulceration or broken teeth you have an easy entry point for bacteria to infect the mouth and your pet’s blood which can be extremely painful and lead to death. A lot of people also don’t know that bad teeth can also cause heart disease, a condition called endocarditis, which can be both debilitating and fatal. 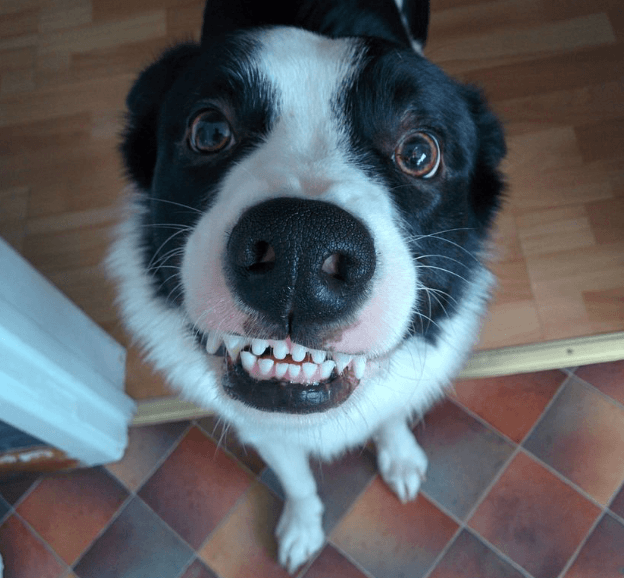 What can I do to keep my dog’s teeth clean? First, giving a bone to a dog is NOT the same as brushing their teeth – more on bones in a future post! For now, brushing your dog’s teeth with a toothbrush is something that you (and they) need to learn. The earlier you start the better to get into the right habit, but it’s easy to teach an old dog new tricks too. 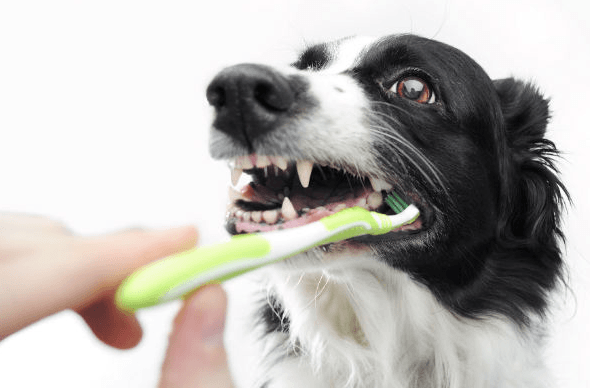 STEP 1 – PREPARE: It’s important to never restrain your dog while brushing their teeth. Sit with them on the floor and gradually work up. Also NEVER use human toothpaste on a pet as it can cause stomach upsets. Your local vet or pet store will stock doggy toothpaste that won’t make them sick. STEP 2 – BUILDING TRUST: Start by simply putting a bit of wet food on your finger and get your dog lick it off. As they do this try to rub your finger over as many of their teeth as possible – starting with the front ones. Do this for a couple of days gradually trying to touch or rub more teeth further back each day. Make these sessions short to begin with, then try to lengthen them a little each day. STEP 3 – REMOVE THE FOOD: Gradually, introduce gauze over the finger and gently scrub the teeth in a circular motion. Ask your Vet about this gauze, or try using some super soft cotton cloth. STEP 4 – INTRODUCE THE TOOTHBRUSH: It needs to be a soft toothbrush. You can use a pet-specific one or an “ultra-soft toothbrush” designed for people. Special pet toothbrushes and toothpaste are available from your veterinarian or speciality pet stores. Remember: don’t use toothpaste designed for people because it could upset your dog’s stomach. And be sure to book in regular Vet appointments. Like us, all pets should have a regular dental check-up to examine their teeth and if necessary, a professional clean.